Predator DNC provides complete RS232 transfer, dripfeeding, wireless and Ethernet communication support for all Mazak CNC models simultaneously. Predator DNC maximizes the performance and capabilities of each Mazak CNC model. Predator DNC includes all Mazak RS232 and Ethernet protocols standard with the purchase of Predator DNC software. 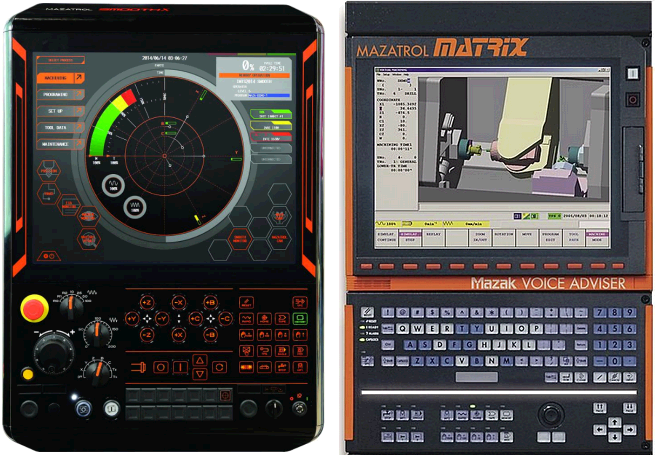 Not all Mazak CNC networking options are available for all Mazak models. NOTE: Predator Schedule support requires Predator DNC Enterprise. Customers with lots of legacy Mazatrol files can request a batch transfer of files to appropriate Predator DNC file formats. Predator Secure DNC provides Ethernet connectivity to Windows based Mazak CNCs such as the Smooth, Matrix, Fusion, Nexus and 640 series while removing them from the corporate domain. In addition, Predator Secure DNC provides automatic authentication, compression and encryption. It supports Windows 95 or newer and is included with Predator DNC. When should Predator DNC's FTP be used with Mazak CNCs? Predator DNC's FTP functions should be used with Mazak Smart, M+ and T+ CNCs with the Ethernet option.